Mirror, Mirror on the Wall – Stones, and Tokens, and Hearts, Oh My! 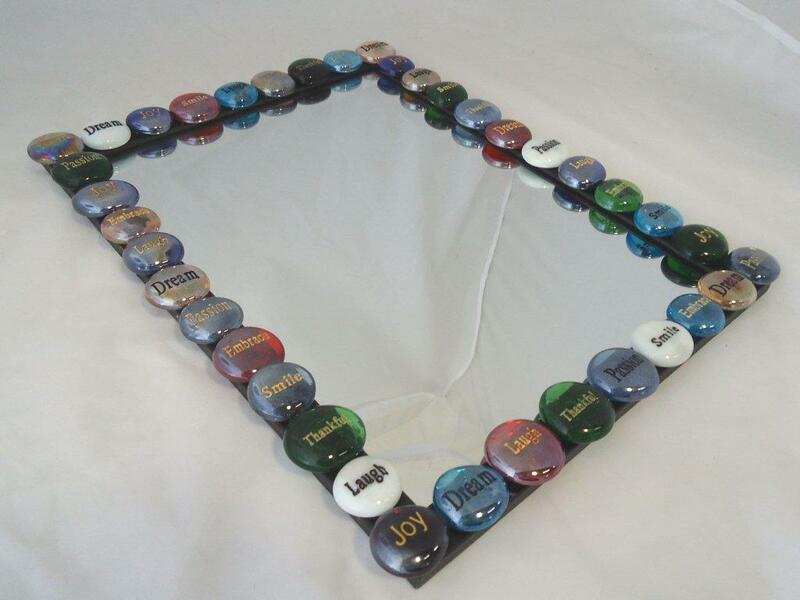 Redesign a plain mirror into a conversation piece in a matter of minutes! This is as simple as arranging the stones in any pattern or spacing that feels right to you and then adhering them with your glue of choice. A few, simple supplies! Our mirror is from the dollar store, can you believe it?! 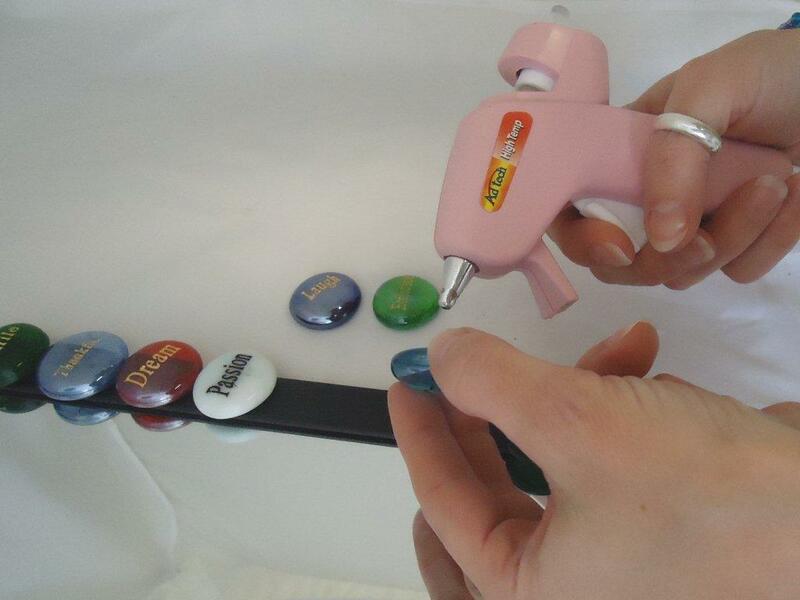 Add glue to each stone and press firmly! Shazam! 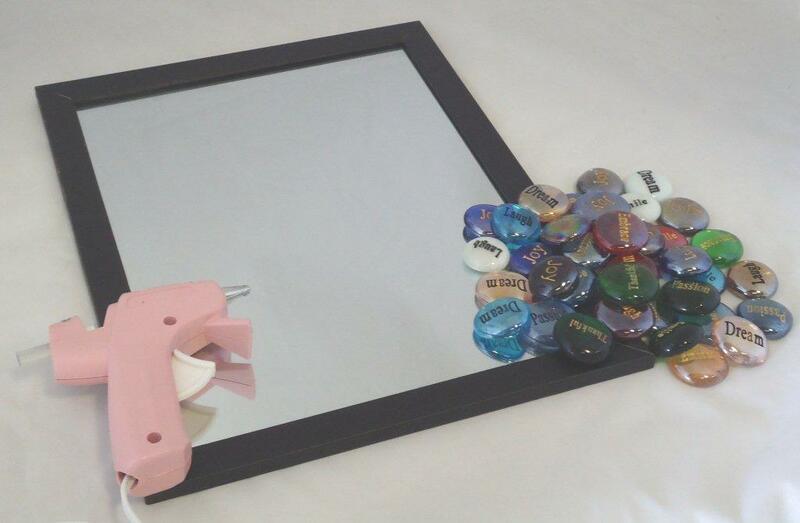 Adorable mirror – and it took less then 15 minutes! 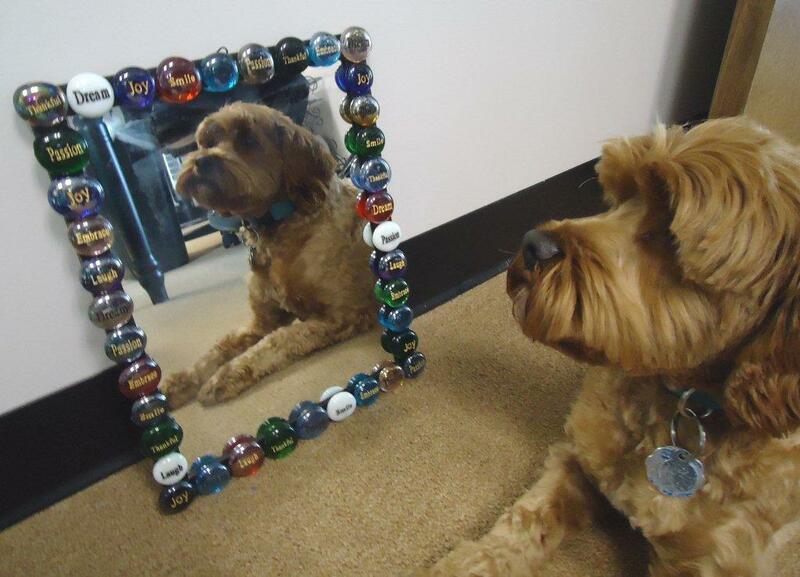 Baxter admiring his cute ‘ole self.